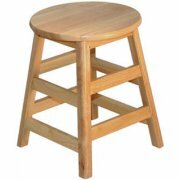 Solid wood stools are a beautiful addition to any science lab or art room. 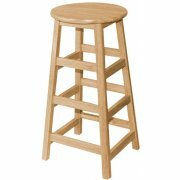 With the STL Series from Allied, you get classic wood stools that are as durable as they are aesthetic. The STL Series is constructed from solid parawood, ensuring that these stools are not only highly durable but also highly environment-friendly. Full-perimeter, under-seat aprons provide superb support, and all edges are completely smooth and rounded for enhanced safety. 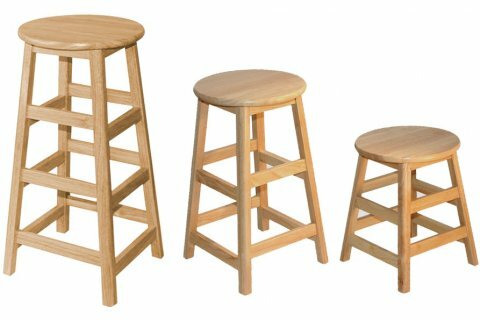 With a clear, lacquer finish and available in three sizes, these wood stools will serve your students faithfully for many years to come. Totally Green: Solid parawood construction uses rubberwood plantation trees at the end of their latex-producing cycles, making these wood stools 100% environmentally friendly. 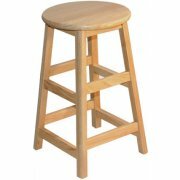 Highly Durable: Solid wood construction and full under-the-seat support make these stools highly durable and incredibly strong. Full Safety: All edges — seat, legs and supports — are smoothed and fully rounded for enhanced safety. Water-based finish is non-toxic. Beautiful Finish: Clear, lacquer finish gives a wonderful, soft look.